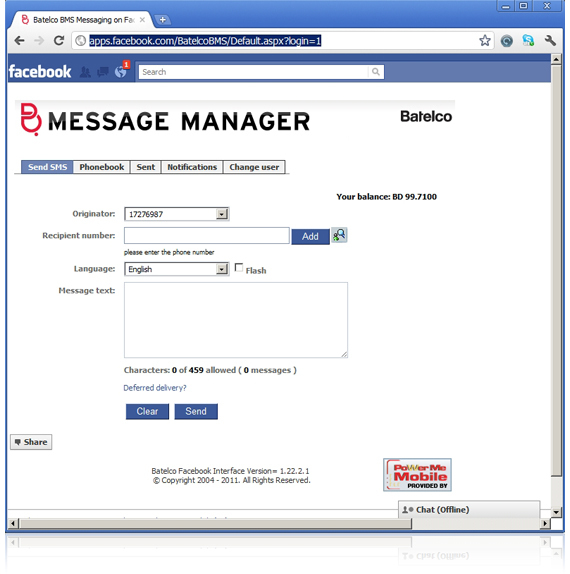 • Create advanced SMS / MMS messages using various media files. • Send your messages to multiple recipients directly from your Facebook account. • Manage a flexible Phone Book provided with the nested groups of contacts and search capabilities; Quickly define message recipient lists, using both the Phone Book or manual input. • Trace the outgoing messages history and send them again if necessary. • Receive SMS or MMS notifications from Facebook on certain actions concerning your own account or your friends’ accounts. • Get notified of status updates, private or wall messages, and new pictures tagged or uploaded by your friends. • Add pictures to your Facebook albums.